This time of year, I find myself admiring the brilliant red berries on the holly bushes around my neighborhood. I like to sit at my window on cold days watching the robins visit the bushes to enjoy some holly berries. I wanted to learn more about these plants that are so closely connected with Christmas, and here’s what I found. 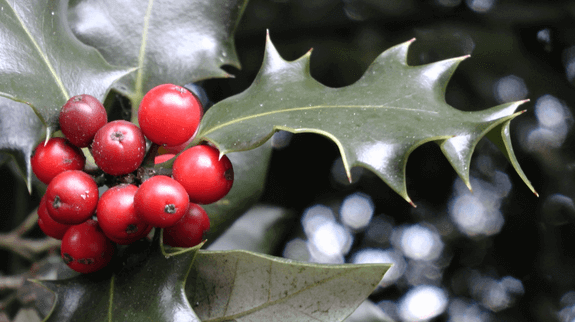 There are more than 400 species of holly. For example, there is Chinese holly. These bushes have deep orange, red, or yellow berries along with thick foliage. The Japanese holly bush has berries that are black or sometimes gold. This bush can live to the age of 75 or older. English holly is the variety most people are familiar with. It has glossy, dark green leaves along with cheerful red berries. The holly bush is forever connected with the Christmas season and Jesus. Holly berries are said to symbolize the blood of Jesus at the Crucifixion. Also, the spiked leaves of the holly bush symbolize the crown of thorns worn by Jesus. Many Christians include holly in their Christmas celebrations. With so many different species, it’s no surprise that holly bushes grow throughout the world in many climates. Some varieties of holly grow in tropical environments, while others flourish in places with temperate weather. It’s a good idea to do some research on how to grow holly in your area of the country before you think about planting some yourself. A young holly bush isn’t going to produce flowers or berries. The bush must reach an age of about three years old before developing flowers, then berries. If a three-plus-year-old holly bush is not blooming, it may be because it’s not getting enough sunlight or water. Also, a period of very cold weather can kill the flowers on a holly plant. Holly bushes grow best in a place that receives full sunlight. Planting can be done in either the springtime or autumn. These plants need well-drained, moist soil to flourish. Give your holly bushes water each day for one week after they are planted. After that, give them water twice per week over the course of one month. Once your holly bushes are established, you should put fertilizer on them once a year and water them only if you have a drought in your area. Pruning your bushes helps them to experience new growth and stay healthy. As a note, some varieties of holly need both a male and a female bush for pollination to occur. This means you should choose an area in your yard with enough space for at least two holly bushes. Of course, there are some varieties that don’t need a male plant for pollination, too. The wood of the holly tree is sometimes used to make the black keys on pianos. Holly is an ingredient in some types of tea enjoyed in Argentina. The story of Jesus is told in the song The Holly and the Ivy. 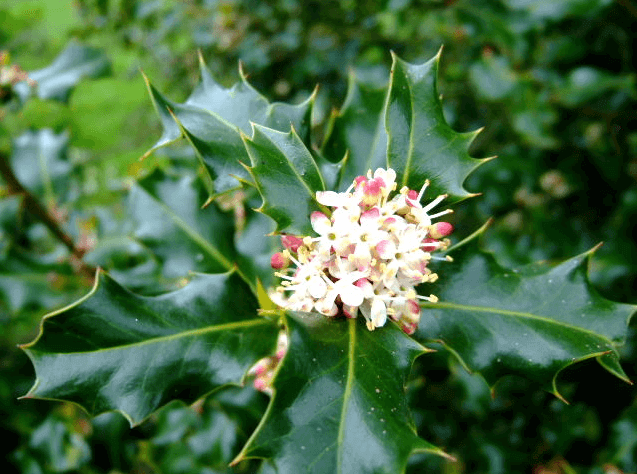 While holly is not poisonous to birds, it is toxic to dogs, cats, and humans. Enjoy the holly this season!